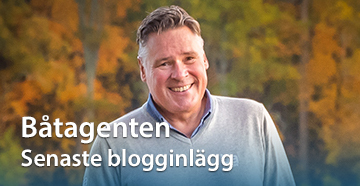 Segelbåtar till salu - Köp din segelbåt | BåtagentBoat Agent Sweden- When buying or selling a sailingboat or motorboat in Sweden - we will help you. 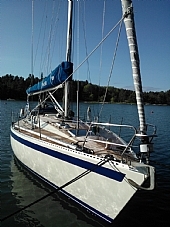 This is the sailboats that we currently have for sale. Click here to see and read about the boats we have previously sold. Malö 40 Classic is a large 40-footer of the absolute highest quality which we have cpome to expect from yards on the Swedish island of Orust. This example is a beautiful three-cabin version ready for anything you can dream up. Saare 41 CC is a splendid centre cockpit blue water cruiser, conceived by the ex Finngulf team. The boat is clearly targeting the high-end cruiser market, competing with the best the Swedish island of Orust has to offer. This 41cc is a cruiser with all the extra bells and whistles, launched in 2010. The Felci 52 is an elegant Italian design. The boat offers complete comfort in a racing hull, for those who want to sail with real speed and in style. A very well equipped Dragonfly 28 Sport -2009. The boat is one of Sweden's top-winning multi-hull boats. A boat where you can develop your sailing to new levels. X-362 Sport anses for mange sejlere som værende den ideelle sejlbåd. Smuk, hurtig men med alle de bekvemmeligheder familien prioriterer til ophold og feriesejlads. Denne version har ydermere den store 27 kh motor samt flot teakdæk og fremstår yderst flot i den nyoplakerede blå farve. This Oceanis 331 is nice small yacht easy to handle. This is last unit of Salona 45 left from factory. She is made in owners version with spacious master cabin and a lot of custom details, like double steering system, under deck furler, performance keel, all took from newer S44. Sweden Yachts 370 in superb condition is now for sale by its first owner. New sails from North Sails, bow thruster, etc. Finngulf 46, 3 cabins, 2009/2015 year model, completed 2015. Designed by Finland's foremost boat designer. Klicka här för att se och läsa om alla de båtar vi tidigare sålt.